Whether you are looking for a festival feel or you are in need of a gals holiday go to - our SS19 collection is here for you! Pick from our new in sandals along with flatform espadrilles, heeled sandals, wrap up platform sandals, snake print sandals, diamante strap must haves, our sandal collection is stylish AF! 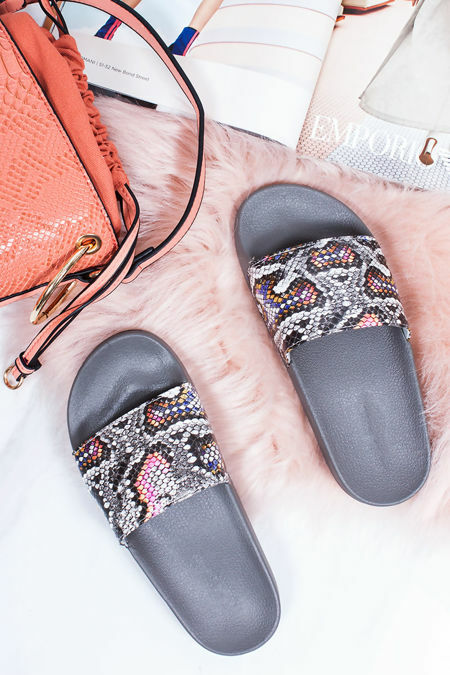 Not forgetting about the must have slider collection, featuring diamante strap sliders, hella jewelled strap sliders with fringe details and chunky soles, perfect for day time chillin' on that all important vacay! We are all about them essential espadrilles this season to take you from day to night and we have them in every colour, spice up your wardrobe with some neon vibes, snake print, croc print, wrap up styles with all the details. Work a pair of our must have wedges with your vacay vibes also this summer! Featuring espadrille wedges, cross strap wedges, diamante wedges and a whole lot more! Make sure you are killin' the latest trends around with the Lavish Luxe SS19 collection!